Your tracking list contains events you would like to track. A target can be defined for each event. The state of the 'Target to go for' is indicated by a progress bar which updates with every new record. A note indicates an entry with out an active target. 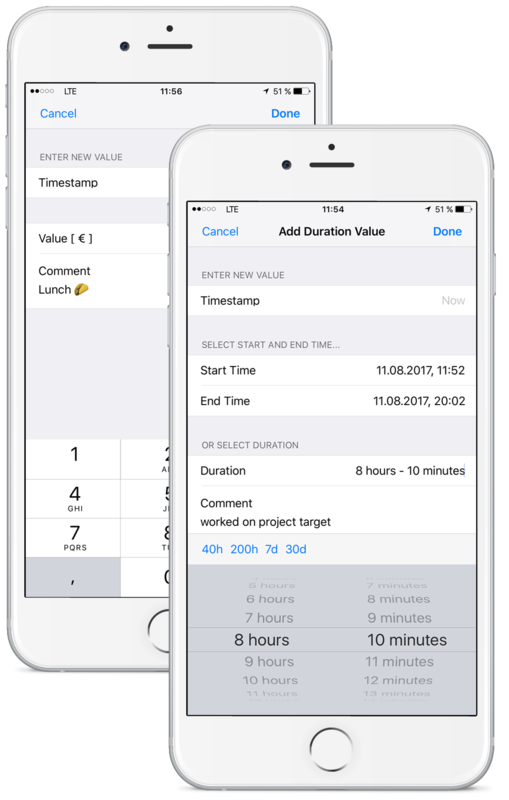 Use the Timestamp field to set the 'creation date' of this entry. This might be useful if you want to add previously missed records. Use the Comment field to enter a brief description of your entry. Set an start- and end time. In that case the time span is calculated automatically. You can also choose one of the listed presets. Note: The start- and end time is not stored. Only the listed time span is stored. Enter the desired numeric value. The unit of the value can be changed in the Event Setting dialog. 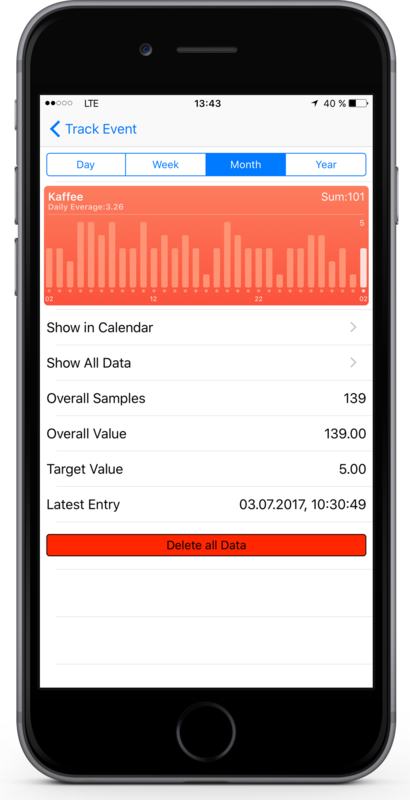 Display your data development over time and get an overview using the statistics. Inspect your data in a Calender like view. Or browse all your data and comments. Set a name and a comment for your event. For easy identification you can set an emoji or a letter which is used as a 'logo' for your event data. Set a type for your event. A timespan in which the target should be reached/should be kept under needs to be set.